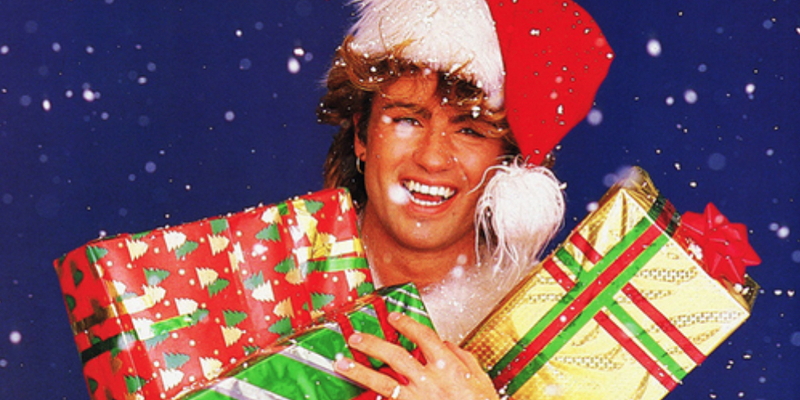 Brian Thacker Travel Writer | Christmas with George Michael. A few years back I spent Christmas day with George Michael. Really, I did. Well, with George Micheal and a couple of thousand other skiers on the Les Diablerets glacier in Switzerland. Coming from balmy Australia I wanted my first ever Christmas away from home to be a white Christmas, so I had booked a ski chalet in Les Diablerets for me and 15 drunken Aussie and Kiwi backpackers who I shared a house with in London. Mind you, only six of us actually skied on Christmas day because the rest were too hungover after drinking all night on Christmas eve. On Christmas morning we wrapped ourselves in tinsel and caught a jam-packed cable car up to the glacier. George Michael, however, didn’t bother with that cable car caper – he got dropped off in a helicopter. The cable car queue was horrendous because nearby resorts had no snow (including Verbier, where George Michael was probably staying), so people were being bussed in from miles away to Les Diablerets, which had glacier skiing. George Michael wasn’t hard to spot amongst the masses, though. He was wearing a fluorescent pink one piece ski suit (it was the 80s!). I didn’t have my Christmas lunch with George, however. I don’t think that he would have been happy sitting on the floor of a crowded mountain restaurant eating frankfurters and chips. I loved that first white snowy Christmas in Switzerland so much that since then I’ve had four Christmases skiing in the Swiss Alps. While I was in Switzerland I also learnt (and embraced) quite a few of the Swiss Christmas traditions, including eating a Christmas dinner on Christmas eve followed by singing Christmas songs around the tree. 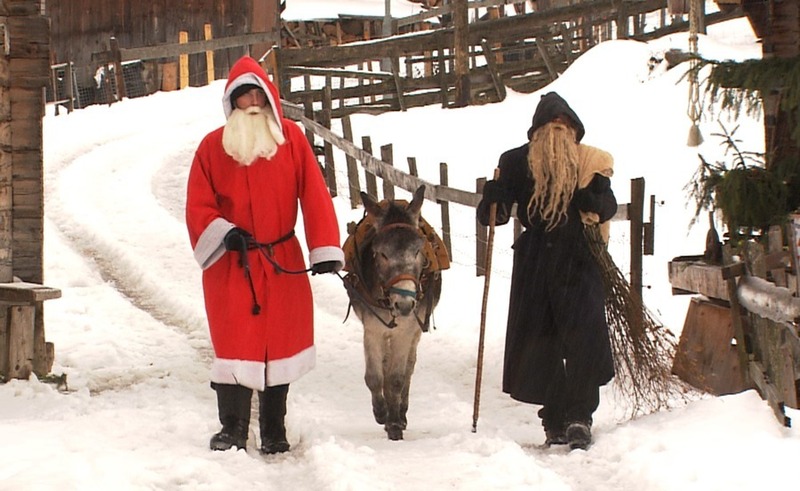 The great thing about a Swiss Christmas is that they have three ‘Santas’. On Christmas eve Christkindli (an angel in white robes) visits all the homes in a reindeer-drawn sleigh and, as well as putting gifts under the tree, he also decorates the tree. Swiss kids don’t actually get to see the decorated tree until Christmas day. 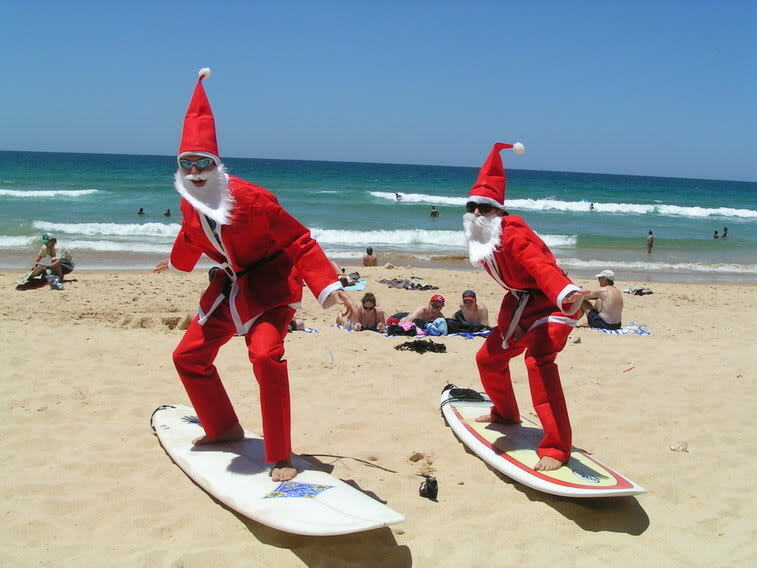 The other two Santas – Samichlaus and Schmutzli – both come on December 6th and visits homes and schools distributing sweets, fruits and nuts to well-behaved children (the nice Santa in red) and giving good advice to the less well-behaved (the not so nice Santa in black). They don’t have a reindeer, though. They come on a donkey. 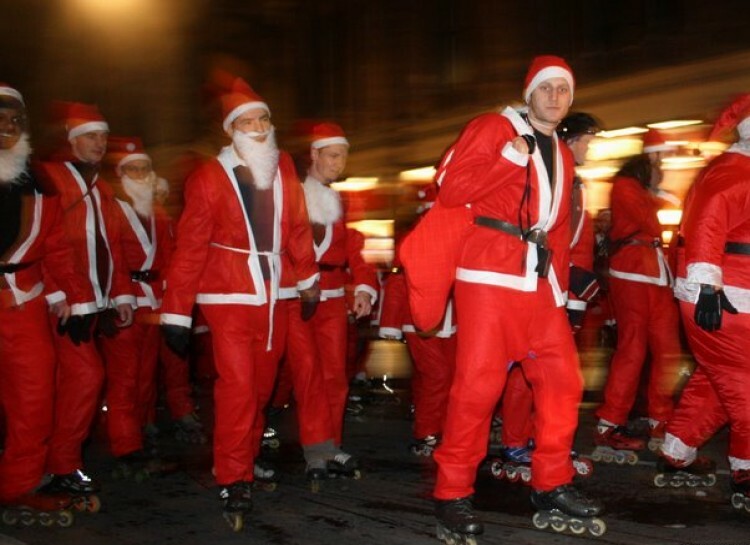 In Caracas, the capital city of Venezuela, many city streets are blocked off on Christmas eve so that the people can roller-skate to church. 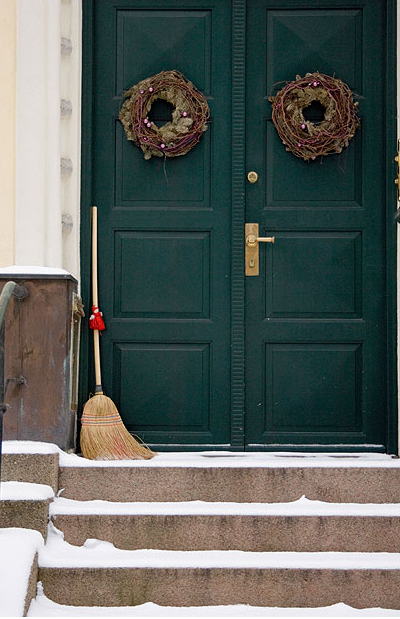 On Christmas Eve in Norway all the brooms in the house are hidden because long ago it was believed that witches and mischievous spirits came out on Christmas Eve and would steal their brooms for riding. The Brazilian Santa Claus is Papai Noel and he lives in Greenland. Which would explain why Papai Noel gets the hell out of Greenland at Christmas. 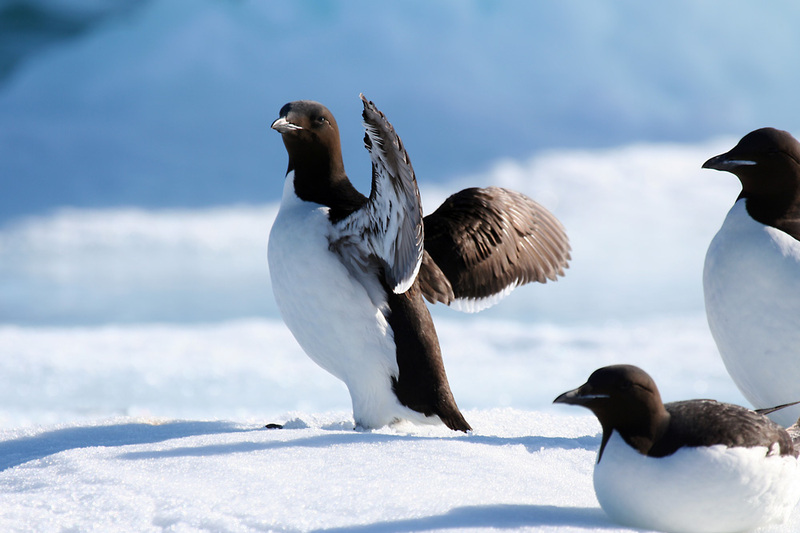 Not only is is freezing cold, but the traditional Christmas fare is rotten auk (a cute little penguin type bird). This tasty Christmas treat is made from the raw flesh of an auk which has been buried under a stone in sealskin for several months until it’s achieved an advanced stage of decomposition. Yummy! The Latvian Santa Claus goes by the somewhat long-winded and tongue-twisting moniker of Ziemmassve’tku veci’tis. Still, I’d be happy to have a Latvian Santa Claus – he delivers presents to you on each of the 12 days of Christmas. 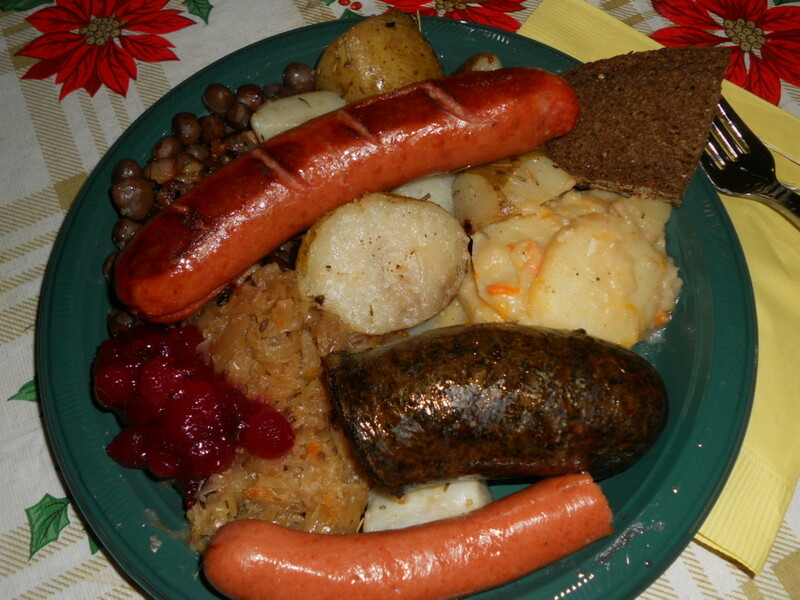 And a Latvian Christmas lunch will certainly fill you up – and most likely give you a coronary. You get four varieties of pig, including three types of sausage and diced bacon, blood sausage, two different potato dishes, Latvian sauerkraut and a dark rye bread. 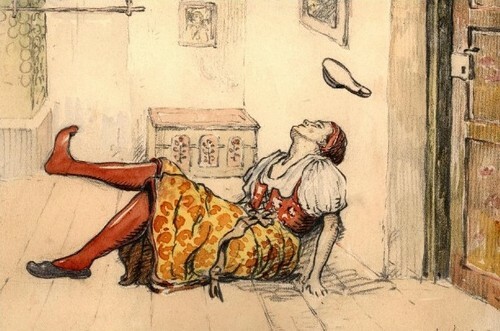 In the Czech Republic, single women go out on Christmas Eve day and toss shoes. With their backs to the door, they throw one of their shoes over their shoulder. If the shoe lands with the heel facing the door, she’ll find herself single for another year. If the shoe lands with the toe facing the door, it means she should start making wedding plans. On Christmas day in Japan folks head to the local KFC for a Christmas meal. This finger-lickin’ custom was started over thirty years ago as a clever marketing campaign, and today it has become such a tradition that sales of KFC chicken spike up to 10 times the average on Christmas day. But, then again, all these folk might think us Aussies are strange with our barbie on the beach and a slab of VB. A bad night’s sleep. Travel highlights of 2015.